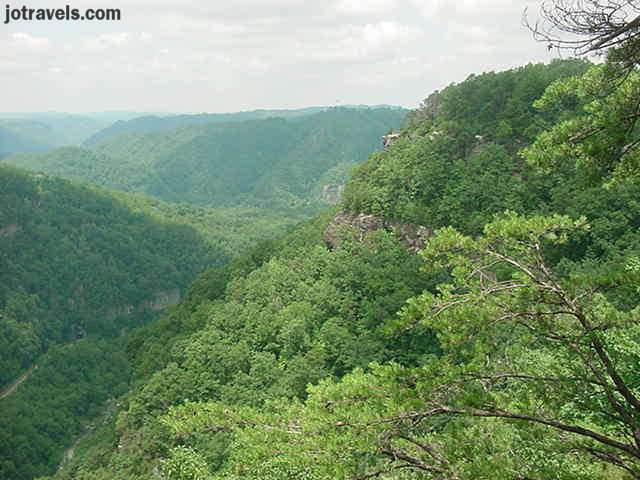 Looking to the west toward Kentucky from one of the overlooks at Breaks Park. The river isn't really visable in this picture, but on the left just up from the river you can see the train tracks that go into a tunnel under the mountain. We watched several coal trains that afternoon.